We’ve finally made an online portrait magazine enabling you to see a huge variety of different portrait commissions that our portrait artists have been asked to paint over the years. 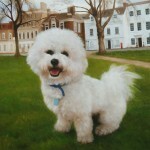 You’ll be able to see the original photos that were supplied to our artists along with the finished oil painting. 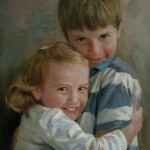 We’ve included ancestral portraits, animal, children and family portraits in a variety of styles. Please take your time to flick through the magazine and if you’d like to commission a portrait for a Christmas gift this year, please remember that the deadline for a guaranteed Christmas delivery is November 17th. So please order before then to avoid disappointment. Would you prefer to have a hard copy? If you would prefer to have a hard copy of the Fabulous Masterpieces Portrait Magazine delivered to you, you can order one from the website here. Mag Cloud are a professional publishing company and will send you a high quality copy of the magazine within 2 weeks of ordering. We hope you enjoy the publication and find it useful!